On January 7, 2019, the Company received written notification from the Listings Qualifications Department of the Nasdaq Stock Market LLC (“Nasdaq”) indicating that the Company was not in compliance with the rules for continued listing as set forth in Nasdaq Marketplace Rule 5620(a), because the Company has not yet held an annual meeting of shareholders within twelve months of the end of the Company’s fiscal year end. The notification has no immediate effect on the listing of the Company’s common stock on the Nasdaq Capital Market. 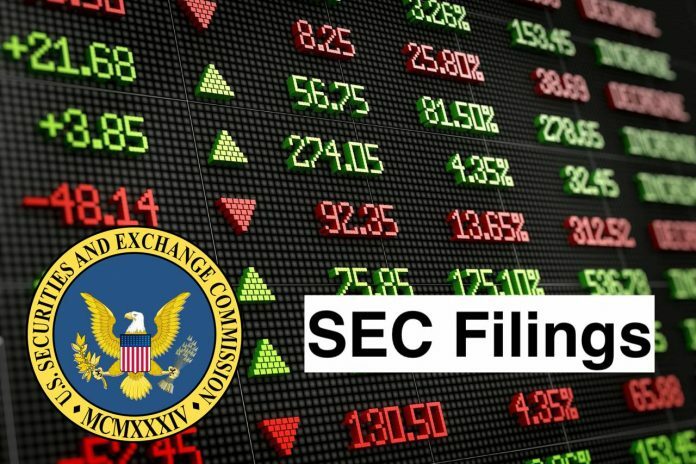 Under Nasdaq rules, the Company will have 45 calendar days from the date of the notification to submit a plan to regain compliance, and if Nasdaq accepts the plan, Nasdaq can grant an exception of up to 180 calendar days from fiscal year end, or until July 1, 2019, to regain compliance. The Company intends to submit a plan to Nasdaq to set a date for an annual meeting of shareholders to regain compliance with Nasdaq Marketplace Rule 5620(a). This Current Report on Form 8-K contains forward-looking statements within the meaning of the Private Securities Litigation Reform Act of 1995. Such forward-looking statements are characterized by future or conditional verbs such as “may,” “will,” “expect,” “intend,” “anticipate,” “believe,” “estimate” and “continue” or similar words. These forward-looking statements are based on information available to us as of the date of this report, and involve substantial risks and uncertainties. Actual results may vary materially from those expressed or implied by the forward-looking statements herein due to a variety of factors, including our ability to submit a plan of compliance satisfactory to Nasdaq and other risks and uncertainties set forth in our reports filed with the Securities and Exchange Commission. We do not undertake any obligation to update forward-looking statements as a result of as a result of new information, future events or developments or otherwise. Celsius Holdings, Inc. is engaged in the development, marketing, sale and distribution of functional calorie-burning fitness beverages under the Celsius brand name. The Company’s product range includes Sparkling Grape Rush, Sparkling Watermelon, Sparkling Orange, Sparkling Wild Berry, Sparkling Cola, Raspberry Acai Green Tea, Peach Mango Green Tea, Flo Fusion Orange and Flo Fusion Berry. The Company’s products are sweetened with sucralose, which is suitable for consumers whose sugar intake is restricted. The Company’s Celsius brand uses ingredients and supplements, such as green tea (EGCG), ginger, calcium, chromium, B vitamins and vitamin C. The Company outsources the manufacturing process to third-party co-packers. It provides co-packers with flavors, ingredient blends, cans and other raw materials for its beverages purchased by it from various suppliers. It sells Celsius brand across retail segments, which include supermarkets and convenience stores.